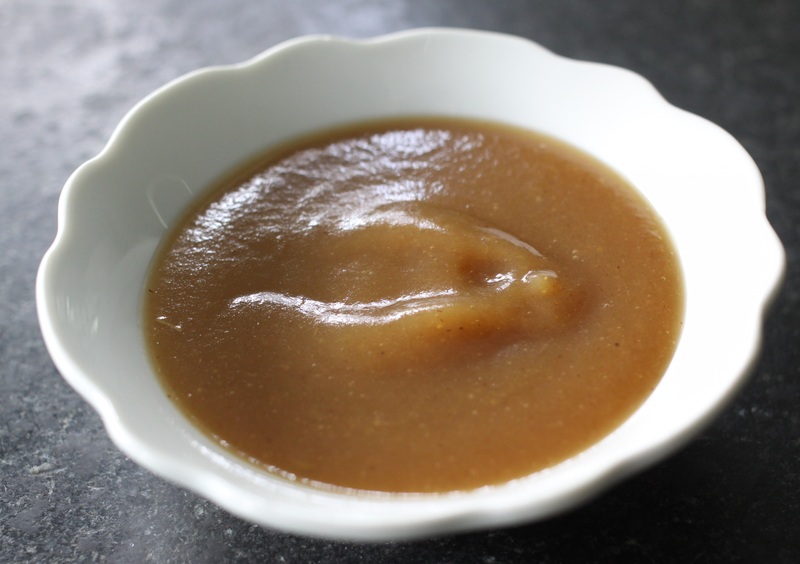 Is there anyone who doesn’t like applesauce? Never mind, if there is I don’t want to know. Cut the apples into chunks, peeled or not depending on what you like, and put them in a pot. Add a small splash of water to keep them from sticking before their juice starts to flow. Cook on medium-high heat until the apples are soft enough to break with the back of a spoon. Puree with an immersion blender for a smooth sauce, or leave as is for chunky. 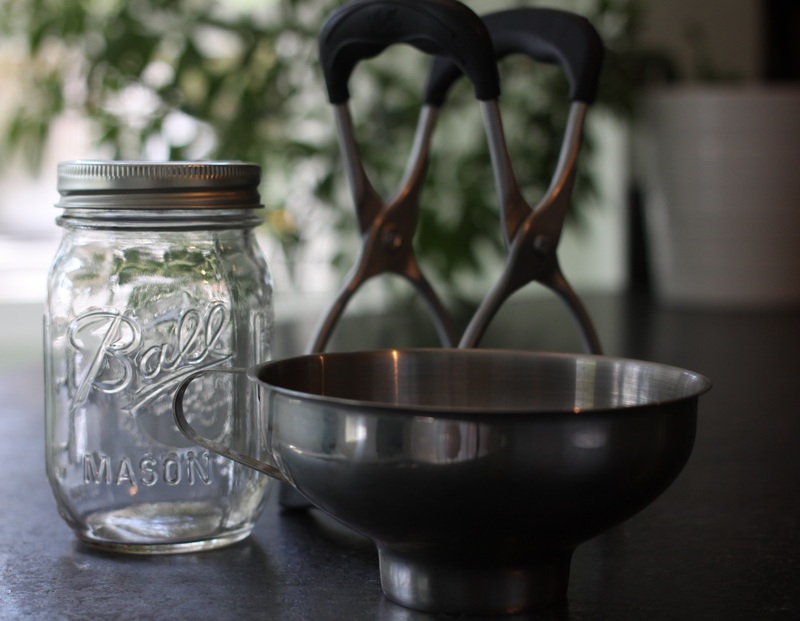 Ladle into clean jars, leaving 1/2″ headspace. Process quarts for 20 minutes or pints for 15. If you’d rather not can, just store in the fridge. Tomato season is exhausting, not gonna lie. 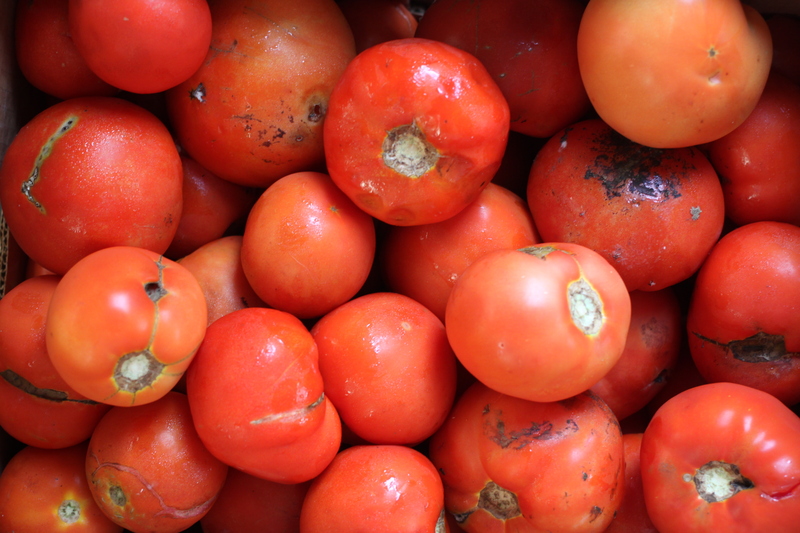 Pounds and pounds of tomatoes pass through the kitchen, needing to be processed as soon as possible to preserve them while they’re still full of sunshine. I spent yesterday making tomato sauce, and I’ll be doing it all over again in a few days. We use about 40 pints of sauce a year, so I do two batches of 40 pounds each. If you eat less, or just want to try out a small batch, this recipe can be divided and your cooking time will be shorter. If you decide to go for the full 40 pounds, you will need a giant pot. You’ll notice that I do not remove the seeds or skin from the tomatoes. Just about every sauce recipe does, but to me it seems a colossal waste of time. You can, of course, do it whichever way you prefer. This is a very simple sauce, and we use it as is for lots of things, but if you want to add more ingredients – peppers, meat, anything – do so when you’re ready to eat it, not when you’re preparing this recipe. Changing the ingredients may result in an unsafe product, and adding meat definitely would. Core tomatoes and cut in chunks. Saute onion and garlic in olive oil in giant pot until translucent. Bring to a boil, then reduce heat to medium and simmer 20 minutes. Bring to a boil and cook til reduced by half. This can take anywhere from 5-7 hours. It’s done when you feel it’s thick enough. Stir often to prevent sticking. Put 1 Tablespoon of lemon juice IN EACH JAR. 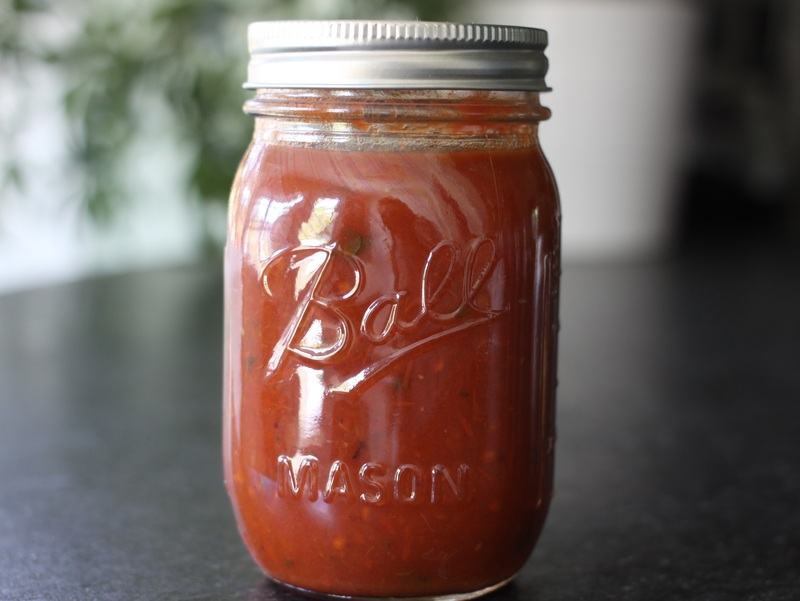 Ladle hot sauce into hot jars, leaving 1/2″ headspace. Remove air bubbles with a very clean tool. Process in water bath for 35 minutes. Yield will be 18-22 pints, depending on thickness. Some canning basics, in case you think only other people can perform this magic. There are two kinds of canning, water bath canning and pressure canning. Some things can only be pressure canned because of their ph levels or density. I’m going to leave pressure canning to someone more knowledgeable and talk about water bath canning, which is safe for high-acid foods. If a recipe calls for pressure canning you absolutely cannot substitute with water bath canning. 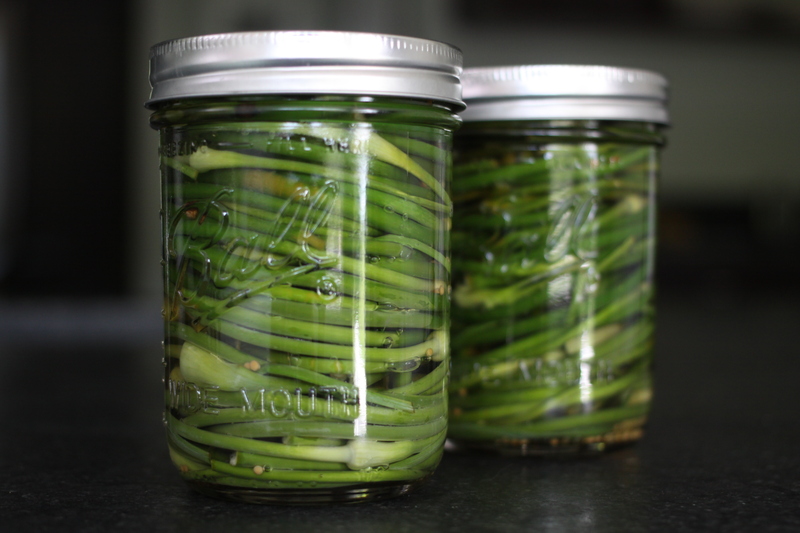 There are three important things to remember while canning. The first is, “hot food, hot jars.” Your jars should be sanitized and hot, and they will be filled with hot food. The second is, ‘be clean to be safe.’ Clean hands, clean jars, clean pots, clean utensils (metal’s best), clean towels. The third is, ‘trust your source.’ You don’t want to wing it when canning. Make sure the source of your recipe is someone who understands the canning process. 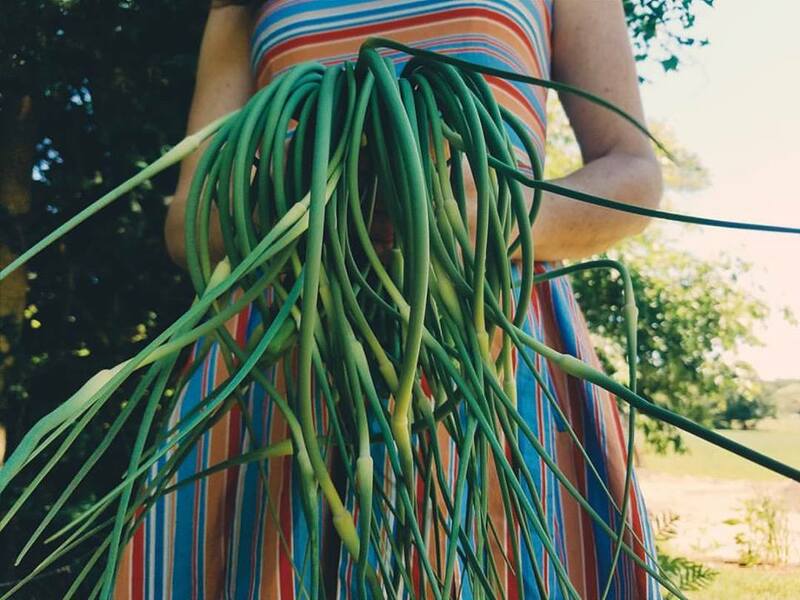 Your great grandparent, while undoubtedly the source of some stellar life advise, may or may not be the best source for canning recipes, as understanding of food safety has developed quite a bit in the past fifty years. The best way to decide who is trustworthy is to understand the process yourself, so do some reading. You’re off to a good start with this post. Ball (maker of jars) has a website full of great information. You can feel confident using any recipe on their site. At some point you’ll likely see lemon or lime juice used in a recipe. They are used to increase the acid level when the food itself does not have enough to can safely. It is important to use the amount specified, and to use bottled juice, not fresh. Bottled juice is required to meet certain acidity levels, whereas levels vary in fresh fruit. Vinegar is also used to increase the acidity of foods. Do not improvise on quantities – prepare the recipe as written. 1) A large pot with a rack of some sort on the bottom to boil the jars in. This is your water bath canner. The rack keeps the jars off the bottom of the pot. Full disclosure, I canned for years without a rack and had no problems, but a rack is proper procedure. You can rig one with rings from old jars if necessary. There are canning-specific pots sold, but any pot big enough to hold your jars and allow them to be covered by at least an inch of water will do. These days I can in a beautiful two-burner Amish canning pot, but for a long time I used a cheapo stainless pot. 2) A large pot to cook your food in. Many times the food you’re canning will expand as it boils, so you want something that gives you a lot of space on top of the food. Because you’re cooking high-acid foods, you do not want to use aluminum or cast iron, which are reactive. If you’re buying a pot and not just using one you have, I’d go for stainless steel, get the biggest you can, and make sure it has a nice thick bottom. That will prevent any sticking or burning. 3) Tongs and/or a jar lifter. Jar lifters are very handy, making it about a million times safer to move your very hot, full jars from counter to canner and back again. It is possible to use a long set of metal tongs, though, if you move very carefully, and I prefer to use tongs when moving empty jars. 4) A wide funnel. This will cut down on the amount of food that ends up on the outside or on the rim of the jar, helping keep things clean. 5) Towels. I like to have a stack of very clean dishtowels and also some larger towels to line the counter so my hot jars don’t experience a sudden temperature change when they’re placed on it. The dishtowels should be a flat weave, with no fuzzies that might make their way into your food. I use flour sack towels. 6) Canning jars. These comes in various sizes, so choose the one that’s right for your product and make sure that you follow the proper processing time for that size jar. Jars can be reused. Just make sure they are clean and without cracks or dings. 7) Two piece canning lids. These will consist of a flat lid which can only be used once and a ring which can be reused as long as it is not rusty or damaged. Flat lids can be purchased separately from jars, so you can reuse last year’s jars and rings and just replace the lid. It used to be recommended to simmer your lids, but Ball has reversed that recommendation and it is no longer necessary. Ok, so what do you do with all this stuff? Take the lids and rings off your jars. Set the jars in the water bath pot and cover them with water. Put that pot on the stove, cover it, and heat it to boiling, then turn down the heat and let it simmer. Prepare your trustworthy recipe in your cooking pot. Remove your jars from the hot water and fill with your completed food, leaving the amount of headspace (empty room on top) noted in the recipe. If any food splatters on the rim or outside of your jars, wipe with a very clean dishtowel. Cover the jars with clean, never been used lids, and secure with rings twisted finger tight. Place your full jars back in the water bath, cover it, and turn up the heat to bring it back to a boil. Once it’s boiling, set a timer for the amount of processing time noted in the recipe. When time’s up, shut off the heat and let the jars sit for a minute in the water, then remove them and set them on a towel on the counter. Don’t move them for the rest of the day, so as not to disturb their sealing. You will hear popping as they seal. You will develop a Pavlovian response to this noise. The next day, check the seal by removing the ring and holding the jar by its lid. (Keep a hand underneath just in case!) The lid should be on very firmly. If your jar didn’t seal, your food is still just fine. It is not shelf-stable, however, and should be kept in the fridge. Failed seals happen to everyone, so take the time to check them. Make sure the jars are clean, double checking under the ring, so that no mold will grow on the outsides. Wipe with a damp towel if necessary. Label your jars with contents and date made. Store your jars in a cool, dark spot. Best practice is to remove the rings so that if for some reason your jars should unseal it will be obvious. I will admit to not always following best practice in this area, but feel free to be more responsible than I am. High-acid canned food is generally considered safe for one year, but that’s conservative. We’ve eaten lots that’s two years old. If it goes bad, you will know it – the seal will break, mold will develop, or the color or texture will be unappealing. When in doubt, throw it out, but if a high-acid food looks fine, it is. This does not apply to low acid foods, which you of course will not be water bath canning in any case, and which are the foods where botulism is a concern. You can’t see or taste botulism, which is why it’s important to pressure can when required. A word on mishaps: Sometimes a jar will break in the water bath canner. It’s depressing, but don’t despair. Take out your other jars and clean them up, dispose of the broken jar, and move on. Very rarely, due to user error, a lid might come off during processing, leaving you with an empty jar and canning water filled with floating food. Again, not the end of the world, just follow the same cleanup process. Whew, that’s a lot of information. Any questions, feel free to ask in the comments. 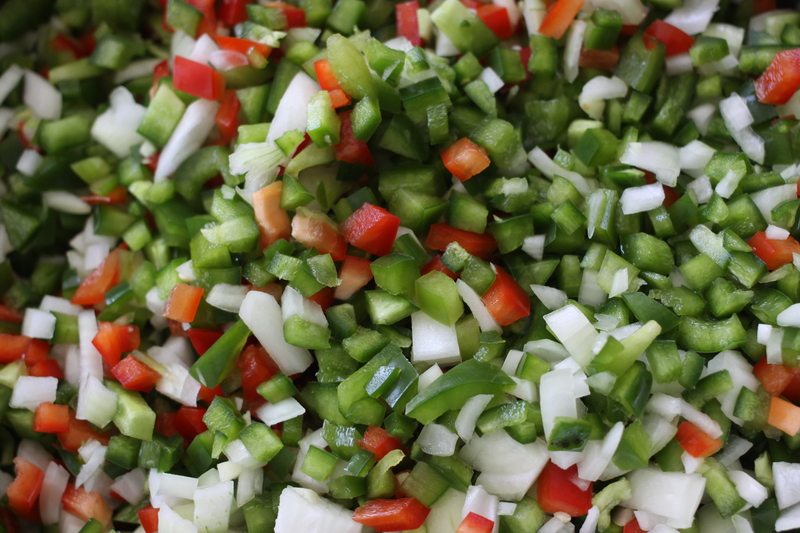 The key to making enough salsa to last a year is a willingness to chop more peppers than seems entirely reasonable. As promised, those ugly tomatoes have been transformed into something lovely. I doubled this recipe, which adds to the cooking time. Totally worth it as we’re now set til next summer. Bring to a boil, then reduce heat to medium and let simmer until slightly thickened, 15-20 minutes. Fill hot jars, leaving 1/2″ headspace. Remove air bubbles by poking down into the jar with a very clean tool. Process 15 minutes after canning water has returned to a boil. Tomatoes: You’ll need 9 or 10 pounds of tomatoes. Bell peppers: You’ll need about 5 large peppers. Green bells are fine, and as they’re cheapest that’s a good way to go. I like to do a couple of red if I can swing it, because it’s an easy way to add layers to the flavor. Hot peppers: You’ll need about 10 peppers if you use large jalapenos. For a salsa just about everyone will like, use jalapenos, removing seeds and membranes. For a hotter salsa, replace some of the jalapenos with habanero or whatever you like. 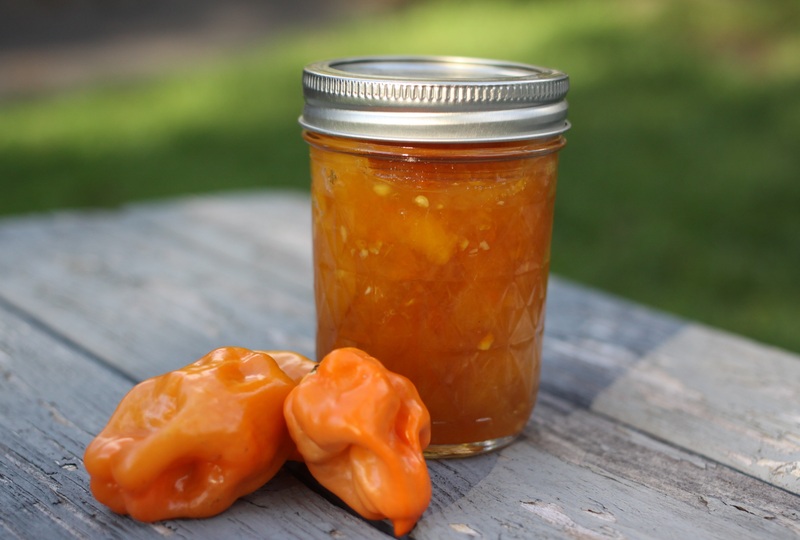 Since habaneros are smaller, you’ll need more of them. They don’t look like much, I’ll admit, but they’re about to become a most delicious salsa. When we first moved to this house there was an old peach tree that gave us more fruit than we knew what to do with. So I learned to can. I read Martha Stewart’s basic canning instructions, figuring she would reliably do things right, then I found this recipe and jumped in. Being new to canning, I made the mistake of multiplying the recipe, which gives a completely different result than the recipe as written. We found it a happy mistake, though, and for fifteen years that’s the way I’ve made it. This is by far my most popular preserve and if I bring it somewhere I know better than to bring only one jar, so I work my way through about 40 pounds of peaches each August. Its most obvious application is on crackers with a nice sharp cheese, but it works on so many things – ice cream, pizza, omelettes, chicken, fish, or tofu – because it perfectly balances sweet and heat. Even my most spice-averse friends have come to love it, once they get over the fear inspired by the very word habanero. A lot has changed on the internet since 2000. What hasn’t changed is that strangers can make each others’ lives richer by sharing what they know is good. This, fellow strangers on the internet, is good.